Select Cap Size * 3" 3-1/2" 4" 5"
Welcome to the world of QuickCap from Kokille! These ultra thick and rugged post caps are designed and manufactured in Denmark. Each cap is designed to simplify installation, prolonging post life and at the same time offering a touch of class and style. QuickCap has a unique feature that no other offers. The full range of post caps come complete with a centrally located and fully integrated high grip nail, which allows for a simplified and fast installation. The caps also have the unique feature which enables the use of the post cap on any sized post equal to or smaller than the cap. This practical design combined with pure elegance will quickly transform and enhance any setting. Some examples include fence posts, deck posts, front/back garden, horse paddock, hot tub platform, garden gate, fishing jetty, boat dock - the options are limitless. QuickCaps are very thick and heavy! These are not your ordinary metal post caps. 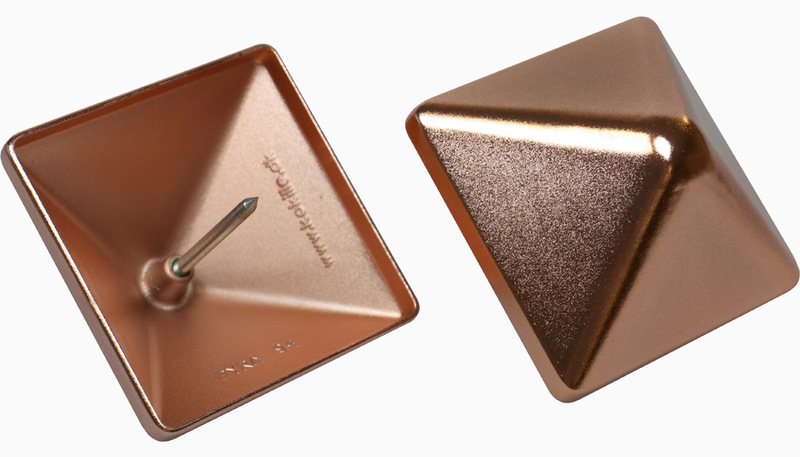 For example, one 3.5" QuickCap Copper Post Cap weighs 0.7 lbs! ***Please Note - due to the way QuickCaps are packed and shipped they are sold in pairs ONLY! Prices listed are for 2 caps - if you order a quantity of 3, you will receive 6 individual post caps. QuickCaps will not flex or bend - therefore if the outside measurement of your post is even slightly larger than the inside measurement of the cap, the cap will not fit. Most orders ship same or next business day, however some non-stock items can take 3-6 weeks before delivery. If items are non-stock, additional delivery charges may apply. We will contact all customers to discuss any additional charges or time delays prior to filling any non-stock orders. On a square post, draw a line from one corner to the diagonally opposite corner. Draw another line between the two remaining corners (to create an x on the top of your post). Where the lines cross is the center of the post. 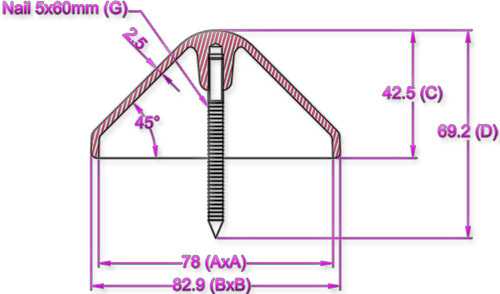 On a round post, measure the width of the post and draw a line in the center of the width. Take another width dimension approximately at 90 degrees to the first line, and again draw another center line. Where the two lines cross is the center of the post and is where the nail should be placed for installation. Pyramid, Ball Top, and Round Cone (Cone 3-1/4", 4-1/4", 5") are all integrated with a nail. You do not need to drill before mounting. 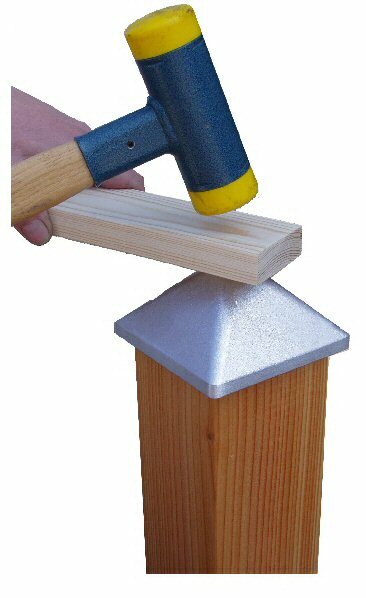 Simply make a cross for the center and place the nail in this center and start using the rubber mallet. If you do not have a rubber mallet, you can use a piece of wood in between to protect the surface of the cap. Round Cone 6" and 9", and the Globe Top (3 pieces Ball Top) are produced with a screw instead of a nail. You will need to drill a 3/16" hole at least 1-1/2" deep. After drilling, just mount the cap in the hole and turn it by hand until it is tight to the post surface.